Let us take the hassle out of planning your next vacation or business trip through PHL-Philadelphia International Airport. 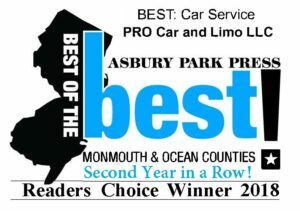 PRO Car and Limo proudly serves PHL-Philadelphia International Airport with professional, affordable airport transportation to and from Monmouth and Ocean Counties. Our professional Chauffeurs are intimately familiar with all of the terminals and gates in the airport. They also know all the traffic patterns in the area and can avoid accidents, rush hour traffic, and road construction when necessary. 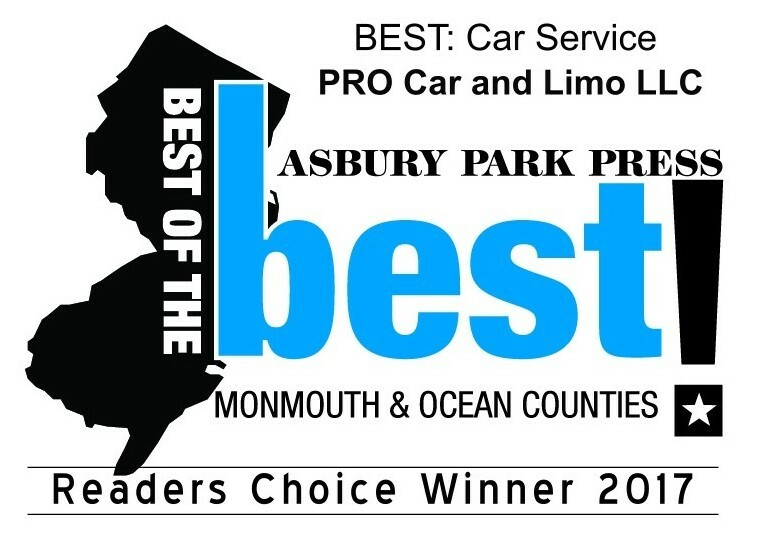 When it comes to PHL-Philadelphia International Airport car service providers in Ocean and Monmouth Counties, your choice is clear…..GO with the PROS! In April 2014, Qatar Airways became the first foreign flag carrier in more than a decade to begin service at Philadelphia International Airport when it launched daily non-stop service to Doha, Qatar. The beginning of the 21st Century has produced many significant developments in the history of PHL-Philadelphia International Airport. Since 2001, the opening of 2 new terminals and other terminal expansion has more than doubled the size of the Airport terminal complex from 1.4 million to 3.1 million square feet. It also expanded the number of boarding gates by 94% from 65 to 126. Demand for air travel, spurred by low-fare competition, has increased passenger traffic from 24.9 million in 2000 to 30.2 million in 2012. The $45 million Terminal E Expansion opened in February 2010. The Expansion features seven new aircraft gates, a 500-seat waiting area, a mini-food court with 3 new concessions. High bay ceiling filtering in natural lighting and new permanent artwork were also added. The new 9,000 square foot D/E baggage claim with 2 new carousels and new men’s and women’s restrooms also opened in February 2010. 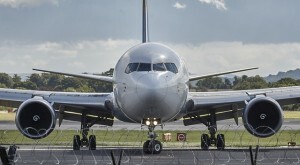 A 10-year planning process and a thorough 7-year environmental review process culminated in January 2011 with the Federal Aviation Administration (FAA) issuing the Record of Decision (ROD) approving the Airport’s Capacity Enhancement Program (CEP). Receipt of this final document enables the Airport to proceed with the next steps required to expand and make critically needed improvements that ensures Philadelphia International Airport is strategically positioned to meet future air service demands, enhance its competitive stature in the global aviation market place and maintain the region’s economic vitality. The preferred alternative as selected by the FAA. Alternative A, provides for a new runway, which will allow independent simultaneous aircraft operations in all weather conditions, to significantly reduce delays. The CEP also calls for two (2) runway extensions. One of which will provide the necessary runway length to accommodate non-stop, long haul flights to reach around the world. New terminals, new cargo facilities and an automated people move system are also included in this alternative. In October 2011, the Airport and the City’s Mural Arts Program officially dedicated the How Philly Moves mural. The mural, which is among the largest created in the United States and occupies the largest square footage of any project completed by the City’s Mural Arts Program, celebrates Philadelphia’s longstanding dance traditions with images 26 dancers representing a variety of dance styles on the façade of the Airport’s parking garages. In April 2012, Virgin America began serving PHL-Philadelphia International Airport with daily nonstop flights to the West Coast. Virgin, an award-winning airline noted for its innovative customer service, was the first new airline to start service at PHL in eight years. In June 2012, Alaska Airlines began serving PHL with daily nonstop flights to its hub in Seattle. Recipient of numerous industry awards for customer service, Alaska was the second new airline to start service at PHL-Philadelphia Airport in 2012. In March 2013, Spirit Airlines began serving PHL-Philadelphia International Airport with daily flights to Dallas-Fort Worth. In April, Spirit, which touts itself as “THE Ultra Low-Fare Airline” added daily service to Las Vegas and seasonal flights to Myrtle Beach from PHL. In April 2013, JetBlue began serving PHL with daily flights to Boston. 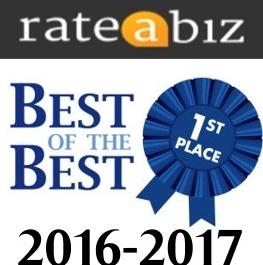 JetBlue is noted for in-flight passenger comforts and unique service that have earned the airline numerous industry awards and a customer-friendly reputation. In November 2013, the newly redesigned Terminal F Hub opened featuring 20 new food, beverage and retail shops, a 300-seat food court area, fascinating new permanent artwork and an enhanced bus shelter. While Philadelphia Municipal Airport transported more than 40,000 passengers in 1940, PHL-Philadelphia International Airport now serves 30.5 million passengers annually. 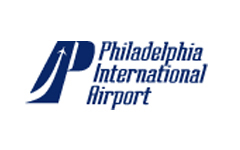 Going to PHL-Philadelphia International Airport? GO with the PROS!